In how to use Google Plus for business part 1 I gave you my thoughts as to why I think Google Plus is going to become a must use part of your social media marketing. In this blog, I will give you some of the top tips to help you optimise your Google Plus account to build traffic to your website, increase engagement as well as discover new people and content. I think it comes as no surprise that many people have not fully embraced Google Plus, many have preferred instead to focus on Facebook. However, if this is you, then now is the time to reconsider this and invest time in building your profile on Google+. Based on Social Media Examiner’s 2013 State of Social Media Report over half of the marketers are planning to spend more into Google Plus this year. But this is not the reason. Google is integrating its toolkit for online business, and social, i.e. social search, social maps, social ads, local social pages (reviews, ratings) at the heart of all of these is Google+. Social sharing makes it more relevant to each of us, e.g. recommendations from friends on a film, music, restaurant as well as integrating voice. Here are some tips to help you get more out of your Google Plus profile and how you use Google Plus features. First of all, you need to make sure that you complete in detail your profile on the About section. Use keywords, e.g. skills. Rather than tell you how to use each part in detail, I want to reference some other great blogs and content by other people. In some cases, I will merely summarise here the key points and then link you to where you can read more so you will get the best advice here. Update: for an excellent blog on how to use the Google Profile (courtesy of +Martin Shervington) there is a brilliant blog on how to use your Google Plus Cover here by +Stephan Hovnanian. Tagline – this is probably the most critical part. Your taglines words show up on your profile picture in peoples circles underneath your name. When people are looking to add you, they get a sense of what you are about from this and whether to add you. Profile – remember this is not a Linkedin this is a mix of who you are professionally but also the oddities and quirks that make you attractive. Authorship – this is how you can get your profile picture to show up on searches related to your website. Just add your blog to the section called contributor to section. If you are using WordPress, then install the excellent WordPress SEO Plugin by Yoast. 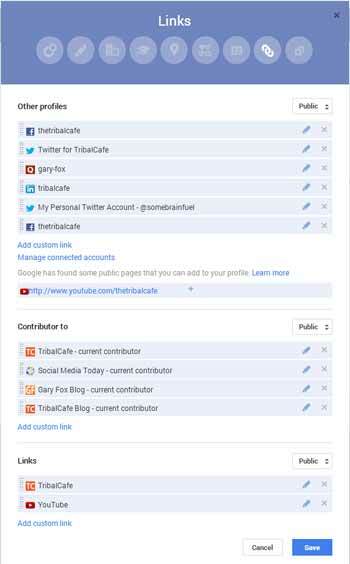 In the home, section selects the user profile that matches to your Google+ profile see the picture below. Then, you will look at your profile picture show up on search. As with all social media, your SEO rank does not depend on how many people follow you or vice versa. It is about engagement, relevance and authority that counts. In short how you build an engaged following, influence influencers and interact with others in turn how you engage matters likewise. In this sense, it is much like a Klout score. For a thorough discussion and blog on this read this blog on Windmill Networking by +Mark Traphagen (an excellent blog created by Neal Schaffer). Although Mark dismisses (for the moment) the future of AuthorRank, others see it as a future reality, here is a post from +Mike Arnesen giving his point of view. The key point both make is that Google is here to stay and now is the time to harness this platform. Circles are how you organise the people you connect with. I have read several posts on this, and the best way to do this is to organise people by your work, interests and activities. If you are also keen to build relationships with influencers you might want also to create relevant circles with influencers in specific topics. I have 18 circles related to friends, interests, hobbies, humour, travel, partners…I am trying to keep it to that number, but that may change as things evolve. You can have one person in more than one circle if you need. Circles and Your Stream – you can organise your stream at using the top bar to choose just a stream of content from 1 circle. Posting to Google Circles – you can easily add audio, video and photos as a post in Google Plus. You can then select which circles, people or communities to post in. If you want (not sure why), you can also turn off sharing. There is another element here that differs from Facebook, and that is you can go back and edit any previous post. A key new feature is that you can now upload animated GIF’s (unlike Facebook) which I think will start to take off – yes there is a community for that. You can also create your own in Google plus. A note on Photos – when posting make sure that your photos are full bleed (colour to the edge) and are either 4:3 ratio or 497 * 373 to fit with Google Plus. Another feature is that uploaded photos can use Google’s Auto Enhance to adjust lighting, structure, balance and more automatically. Go into settings and choose Camera and Photos to turn off Auto Enhance and Auto Awesome globally. A feature that holds vast opportunities for marketing is the interactive posts. I first noticed this on +Amanda Lisa Syers a Book button in a post, so I dug into this a bit further. A while ago Facebook Open Graph introduced actions, e.g. watch, read, listen…which appear in your timeline, these help people understand and take action with content. Google now has interactive posts with similar effects – for more detail here is a list of actions. The picture below shows the detail of an interactive post. you can follow +Mike Arnesen great post (requires some technical know-how) see his post here on using the Interactive Post Tool he has developed. I can see this becoming a significant plugin for some developer, it is early days yet, as to whose that remains to be seen. Use hashtags – like Twitter hashtags help people search for related content or follow threads of material based on hashtags. Google plus suggests hashtags as you type which helps you to use ones that are popular/being used by others. You will notice that Google will automatically assign “related hashtags” for you if you don’t. For a more detail explanation on using hashtags in Google+ see this post by +Ronnie Bincer.
. The search bar allows you to search through everything on Google+, people and pages, communities, Google+ posts and Photos. If that wasn’t enough you can also click on more and search on Hangouts, Events, From your circles to you and from you (great if you want to look back at something you posted or someone posted to you). Search is at the heart of everything that Google does. Integrating social throughout is where it will go as more user-generated content becomes ranked as the lead content. This makes it interesting for how businesses will compete against key authors with authority in specific niches. Google has also launched a music service (social music to compete with Spotify (future addition to Google Plus) and you will even notice in Chrome a small microphone in the right side of the search input area (compete with Siri) – a Google voice recognition system + future real-time translation! Another great resource for Google Plus is +Martin Shervington. In the video below Martin provides some excellent advice and tips on using Hangouts. 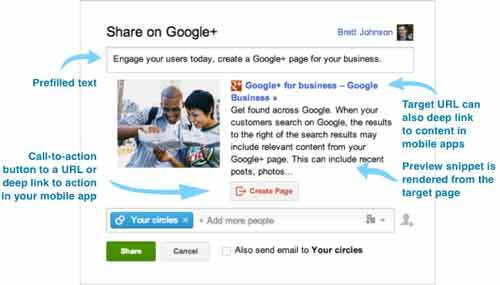 This is probably one of the most powerful features of Google+ and can be used on a personal level but also for team meetings e.g. remote sales teams as well as a collaborative area. Hangouts now have its own apps for Apple and Android. Ignite Social has a great post on how brands are using Hangouts. To mention someone or something, preface it with “+” and start typing until the correct name appears. And to format text, use *asterisks for bold*, _underscore for italics_, and -hyphens for strikethrough-. 1. You can fine-tune messages according to people’s likes/interests – you can’t on Facebook or Twitter. 2. Friendsurf – if you want to connect to an influencer connect to their friends, read their posts and comment on them and be patient. Try to add value and be original in this process. 3. Probably more than some of the other networks Google+ is very open and you need to show you. This can be done through Hangouts and joining in communities. In other words, invest in Google+ and interact. The equivalent to Facebook’s groups is Google Communities. But Google’s communities easily trump Facebook they are more open interactive and well fun. There are lots of fantastic activity on them and people are actively creating new ones all the time. You can like groups build a Private Communities or Public Community. Private Communities based on permitted people only, e.g. 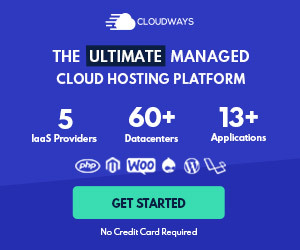 a business team or work community. You can select if you want them to found/searchable within Google Plus or you can allow them to be searchable, but members have to request to join. Most communities on Google are open/public. To create your own community, go to the Google Plus Communities Page then click the blue “Create Community” button on the upper right of the page. The picture you need for a community is 200 pixels wide by 250 pixels tall. If you are familiar with Google Places, you will see that there is some duplication with Google Local Pages. Despite this though your page will become the local source for managing your brand at a local level, e.g. if you are a shop or restaurant. As Google maps become more social and fit to Google Glasses! You get a picture of a rich, personalised interactive world where you can see around your choices for restaurants and ratings of those. There are lots and lots of opportunities around the corner. It will be interesting how the role of the Business/Brand Page and Local Pages develop. For now, though they are two entities. +Ronnie Bincer does a great job of talking through the latest version of Brand Pages and what they mean to businesses. To create one you can go here. For some inspiration on design and use here are 50 awesome designs. I know there is much to explore and discuss, but I hope that this blog gives you a feel for how big the opportunity is to engage and build your community. I have not used Google+ much but have been amazed at how big, and strong the communities are and how incredibly helpful and great the people are. Enjoy it and let me know your thoughts on the future of Google Plus for you and your business. Hootsuite – Schedule posts using Hootsuite (Google Plus business page only).